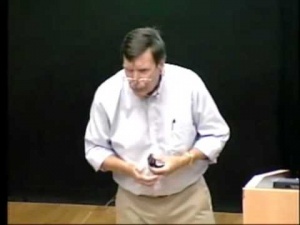 In this course, Professor John F. Kihlstrom gives an introduction the principal areas, problems, and concepts of Psychology, such as the human mind and behavior, sensations, perception, memory, Thought and Language, Personality and Social Interaction, Psychological Development, Psychopathology and Psychotherapy. John F. Kihlstrom on his lecture on psychology. Austin wrote 8 years ago.